What’s the Best Book for Learning SSIS? I am often asked the question, “Andy, what’s the Best Book for Learning SSIS?” There are some really good books out there that will help you learn SSIS (and I am co-author of several). 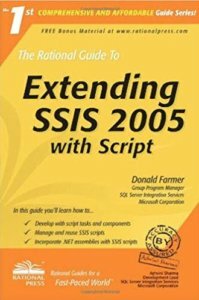 The book from which I learned the most about SSIS is Extending SSIS 2005 with Script by Donald Farmer. Why do I consider this book the best? Donald Farmer (TreeHive Strategy | Interview on the Data Driven Podcast) is a data engineering industry expert. 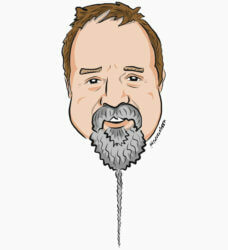 He led the team that developed Microsoft SQL Server Integration Services. He’s technical, a great communicator (speaking and writing), and fantastic at solving business problems. In Extending SSIS 2005 with Script, Donald discusses and shares demo code that informs he reader of the problems SSIS is designed to solve, and how SSIS is designed to solve those problems. Best of all, you learn this from one of the minds that designed the product. I consider the Data Flow task to be the heart of SSIS – and the SSIS Script Component of the Data Flow Task is arguably the most difficult and most flexible component in the SSIS Data Flow. If you get your mind around the Script Component, you have a pretty good handle on how the SSIS Data Flow works, in my humble opinion. I am aware of SQL Server Integration Services (SSIS) courses that are based on the material contained in this book. It’s that good. Yep. The information remains cogent. If I have to choose one book, Extending SSIS 2005 with Script remains the best book for learning SSIS in my opinion. How serious am I in this recommendation? I just ordered a copy for one of the independent consultants at Enterprise Data & Analytics who is learning more about SSIS. I want her to become a senior SSIS developer in 2019 and I consider this book vital to accomplishing that goal. Full disclosure: The links to the book above pass through the Amazon Affiliate Program. If that bugs you, please click here for a clean link to the book. The C# has changed since 2005, so if we are looking to learn how to use the script component… we would need a second book to get the syntax correct, so what would that be?